I vividly remember that long night in Toronto on January 7th/8th 2009 which was daytime in Colombo.The telephone rang while I was reading a magazine article on the wildlife in Sri Lanka. It was Dushi (Dushiyanthini Kanagasabapathipillai). She broke the news that Lasantha Wickrematunga had been shot and injured on his way to work.The phone rang again just as I replaced the receiver. It was Marianne (Marianne David)She too had the same news.Later more friends from Sri Lanka called with the same news. The next few hours were agonizing as I kept ringing and emailing people in Sri Lanka to find out more.In between these calls and mails were the numerous queries pouring in from different parts of the globe about Lasantha’s fate.I answered them briefly.It was a long,terrible night! I prayed and prayed alone in my home as Doctors struggled to save his life in hospital.I begged God that “Lassie Boy” should come out of this alive.After a while I heard from authoritative medical sources that he was brain dead and would be a “living vegetable” even if he survived.That would indeed have been a cruel stroke of fate for an active ,vibrant Lasantha, so full of lively,vigorous energy. My prayers changed.I now asked the almighty that Lasantha be spared the plight of a vegetable like existence on earth and that his soul should get”Nearer my God to Thee”.I later learnt that several other friends of the Christian faith too had been praying on similiar lines after hearing of what was to be expected if Lasantha survived. It was the night of Gethsemane again as we prayed that the cup should depart if it was indeed God’s will.After battling for life for over four hours Lasantha Manilal Wickrematunge passed away on January 8th 2009. 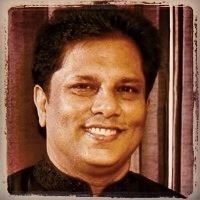 It is hard to believe that five years have passed since Lasantha passed away.To his family and his friends, comrades,colleagues and proteges of the fourth estate Lasantha has not passed away. A recurrent feature of my conversations with such friends and fellow comrades of the fourth estate is some amusing or complimentary reference to him.Anecdotes are repeated. Even as the journalists of yore under Lasantha’s watch at ‘‘The Sunday Leader”move away one by one to other places I think of him and sigh ‘‘if only Lasantha was there”.And when they gain top posts or win awards I think to myself this is “Lassie boy’s legacy”. Lasantha’s fifth death anniversary comes in the wake of fifth anniversaries of the military victories against the Liberation Tigers of Tamil Eelam(LTTE) in Paranthan,Kilinochchi and Elephant pass. In a sense those victories and his death are linked. I recall a conversation with him in October 2008 where we were discussing the military situation of that time when Kilinochchi was the prime target.Quoting a Tamil national alliance MP of that time enjoying close relations with the tigers Lasantha said that “Kilinochchi will never fall”. I replied saying it may not fall directly to the military but could certainly be abandoned by the LTTE if the Army captured Paranthan.I pointed out that if Paranthan was taken by the Army then the LTTE could not hold on to Kilinochchi to the south of Paranthan as well as Elephant pass to the north of Paranthan.The tigers will fall back from Kilinochchi if Paranthan falls, I said then.I had also written of that possibility. Lasantha thought a while and agreed.He then said”Machang ,when Kilinochchi falls they will kill me.He explained that the impact and consequences of killing him would be lessened in the war victory euphoria over Kilinochchi. I was not in touch with him in December 2008 when he got married to Sonali Samarasinghe or during the first week of January 2009.But I did think of what Lassie boy said when Paranthan fell on December 31st 2008.The LTTE withdrew from Kilinochchi and Elephant pass as I expected.The Army took Kilinochchi on January 2nd 2009 and Elephant pass on January 6th 2009. News of Elephant pass being retaken was not announced on January 7th.Instead it was announced on January 8th to coincide with the attack on Lasantha.It appears that Lassie boy was right on that. As is well known Lasantha was brutally assassinated in broad daylight on a public road. He was murdered on January 8 by cowardly minions for courageously speaking truth to power. Refusing to be silenced by the powers that be, the fearless editor of “The Sunday Leader” fought valiantly against overwhelming odds to expose corruption, nepotism, misgovernance, racism and militaristic triumphalism.The motto of “The Sunday Leader” was “unbowed and unafraid”. Lasantha personified the motto in every way and remained to the very end, unbowed and unafraid. He was one of the bravest human beings I have ever known. Lasantha was a fearless scribe, crusading for justice and peace. An irredeemable loss for journalism and Sri Lanka. Cry, the beloved Country!! His death has been a huge, personal loss to me! He and I were colleagues on “The Island” in the eighties of the last century. We were also residents of Kotahena then. Later I was for many years a columnist at “The Sunday Leader” which he edited.But “Lassie Boy” as I called him was a friend in every sense of the word. It was indeed my privilege and good fortune to be closely associated with him for many years. Apart from a brief period of estrangement our friendship endured the trials of time. I used to call him “Lassie Boy”. This was because there were two guys with the name Lasantha at “The Island” editorial those days. To differentiate, I shortened his name to “lassie” which amused many colleagues.He objected vehemently saying “lassie” was a girlish name. To his utter chagrin I compromised by adding “Boy’ after lassie to emphasise his masculinity.”Lassie boy” it was forever. Lasantha was not unaware of the dangers he faced. He had encountered innumerable problems in the past. After Richard de Zoysa was killed by former President Ranasinghe Premadasa’s henchmen , Lasantha was among the journalists whose lives were threatened. For a decade and a half the popular Sunday paper pitched into the powers that be. In the finest embodiment of journalistic values, Lasantha Wickrematunge and his “Sunday Leader” spoke truth to power. In the process he did not merely ruffle feathers but stripped the “birdies” bald. From Chandrika Kumaratunga to Mahinda Rajapaksa, the highest in the land were all targets of his journalistic archery. He was a virtual one – man opposition. Under his editorial leadership his staffers and colleagues worked together as a dedicated team for the common good of this country by upholding liberal democratic values. In the process he underwent much hardship and danger. Thugs assaulted him in the presence of his wife; machine gun fire was sprayed at his house. The paper was sealed under emergency regulations; numerous court cases were filed; a blatant attempt to arrest him was made; he was the target of hatemail, abusive calls and death threats; arson attacks were launched against the press;He and his loved ones were targets of vulgar attacks in sections of the media. Still he battled on, unbowed and unafraid. He was uncommonly brave or foolhardy depending upon how one looks at it. The fact that he never had bodyguards or sought protection was illustrative of his defiant spirit. Except on rare “official” occasions he drove his own car. Each day he would walk 45 minutes for exercise, along the road sticking to the same routine. Even on that fateful morning he opted to go out alone regardless of consequences. I was always concerned about the danger to his life and would caution him. I am sure many others would have done so too. But he would flippantly dismiss them. “Machang” he would joke, “there are two things where you gotta go when you have to go . One is the toilet and the other is the grave”. There was also another source of inner strength for this courage. Very few know about the “spiritual” side of Lasantha. Most people think of him as a hard-headed , cynically rational person. But there was a metaphysical aspect to him . I was surprised when he told me face to face in Canada, “Dont worry machang. Nothing will happen to me because there is a divine power watching over me. That’s my protection”. I first though he was joking but later realised he was very serious. This was due to a spiritual experience. Lasantha on one of his trips to Canada underwent a spiritual experience. Thereafter he like Saul being transformed into Paul on the road to Damascus was changed. He even introduced me to his pastor Angelo once. This spiritual experience steeped him in faith and provided strength and solace to him. Lasantha fully realised the dangers he faced. He could have gone abroad to save his life. He was a lawyer and could have simply donned the black coat and built up a lucrative practice; He could have capitulated and compromised his journalistic integrity. He could have allowed himself to be bought over by or co-opted into the power structure. These he did not do and instead opted to go along the straight but narrow,difficult path. Finally the end came in a gruesome fashion. In the Sri Lanka of old the barbarians were at the gates. Now they were inside the gates occupying positions of power. Lasantha lived for only fifty years and eight months on this planet. Yet , he achieved many, many things in that short life-span. He changed single-handedly the state of journalism in this country. Lassie was controversial in death as in life. His “editorial from the grave” has made waves around the world of journalism and human rights activism. His killers may think that the gun has silenced the pen but as a fellow scribe and friend I want to remind his killers that the last word about his death has not been written yet.